Your artwork is so inspiring! What did you use in the Bag End (I’m assuming) picture? Watercolor? Pencil? Hi Christiann, thanks for your kind words :). 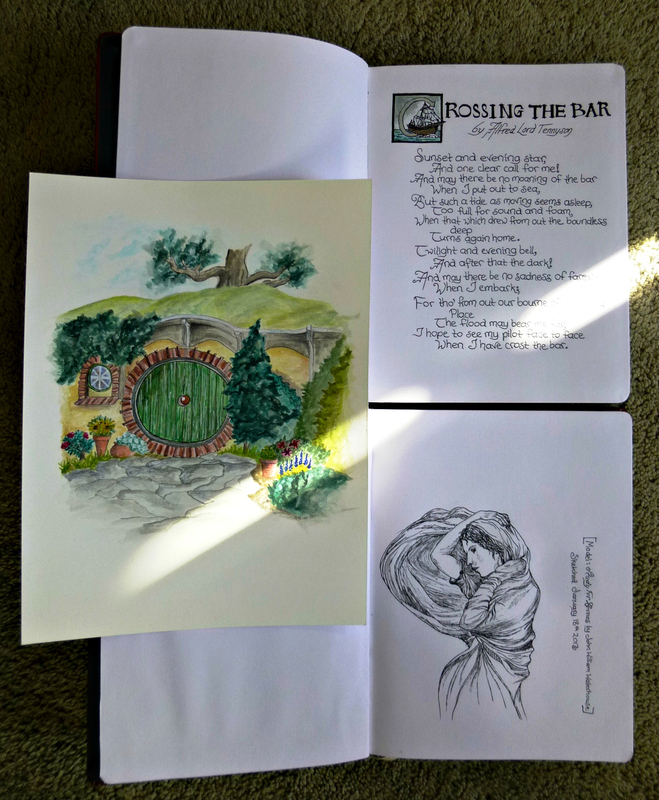 I used watercolors for the Bag End picture. Such beautiful thoughts to start the day. Wishing you joy on your journey and thanks for providing a little wayside “inn” via the blog.